The airline Jet2.com has increased the frequency of its flights in six of its Spanish routes which connect with Leeds (United Kingdom), city in which it is based, as reported by the airline in a statement. Concretely, the airline will intensify the frequency of six of its routes from next summer. In the case of the Leeds-Barcelona route increased frequencies will become effective as of March. Specifically, the company will introduce a third daily flight on Mondays and Fridays between Malaga and the British city, and will do the same on its route to Alicante, although in this case on Fridays and Sundays. Similarly, on Monday there will be a flight between Menorca and Leeds; another one to Murcia on Mondays and Fridays and a third daily flight between Palma de Mallorca and the British town on Saturdays. In the case of the route between Barcelona and Leeds the increase in flights will be effective from March 2013, with the introduction of connections also on Mondays and Fridays. Thus customers of Jet2 and its tour operator Jet2holidays can better appreciate some of the most popular Spanish destinations among Britons. 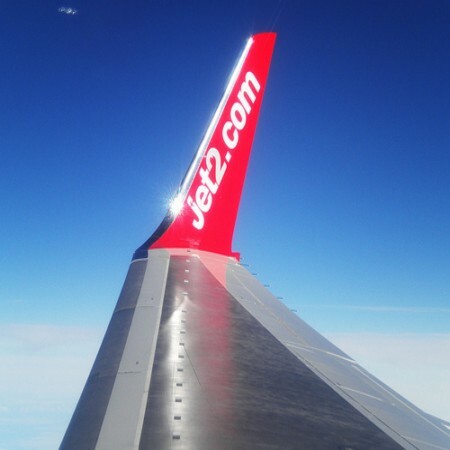 In fact, demand for flights to Malaga with Jet2.com from the UK has increased markedly in the last year. A combination of an awful summer, a strong Pound, the sunshine guarantee in Malaga and Costa del Sol area and the fact that the cost of holidaying in the UK is similar to going abroad for a holiday, makes visitors come back to places where they had already enjoyed fantastic holidays.